This is probably the last thing that Jean Claude-Juncker and the unelecteed, unaccountable EU bureaucrats in Brussels wanted to hear, particularly after mercifully allowing the UK another two weeks to give Theresa May's supremely unpopular withdrawal deal one last go (or find another, softer way forward). 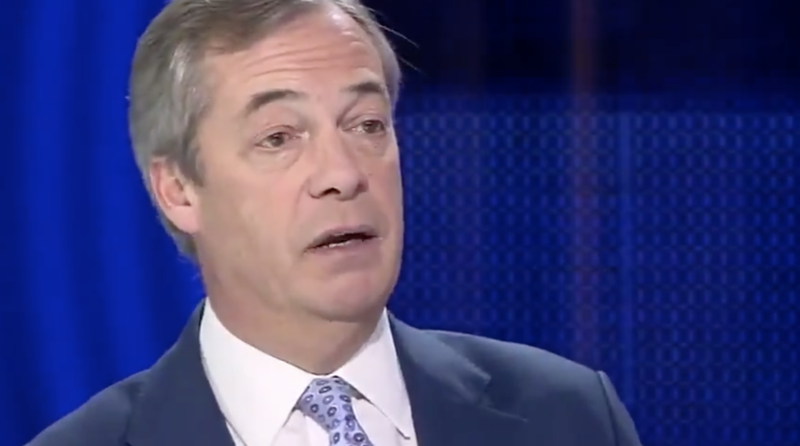 Days after the leader of Farage's new Brexit Party resigned over allegations of Islamophobia, former UKIP leader and Brexit architect Nigel Farage told the BBC that he would lead the "virtual" party into the European elections, should the UK decide to participate. The Europeans were reluctant to grant May's request for an extension of Article 50 until the end of June because it would create legal complications regarding the May vote for the European Parliament - a vote in which the UK has no intention of participating, according to May. But if the UK is still part of the bloc in late May, it could be forced to participate. If that happens, Farage - who presently serves as a member of the body for southeast England - said he and the party will be ready. Crowning himself the leader of the Brexit Party, Farage told his interviewer that the party has the financial support and the backing to pose a real challenge. "If this betrayal continues and I sense that it will, and we end up with an extension past the 23rd [of May], I will lead the Brexit Party into the elections." Asked about his backers, Farage insisted that the party has "enough" money to run, and joked that his backers are "all registered in the UK" and that their support would "all be legal," a reference to allegations of Russian backing. Farage insisted that millions of Britons considered the extension of the Brexit deadline, which received Brussels' tentative blessing Thursday night, as a betrayal. "Don’t worry they’re all UK registered. It’ll all be okay, it’ll all be legal. You might be surprised there are people from across the political spectrum who view what happened last night as a betrayal and a breach of trust…I’m not going to allow the political class to walk all over it." On an unrelated note, Farage highlighted yet another depraved act of the 'remoaners' by tweeting out a story about a commemorative tea towel embroidered with the faces of dead Brexiteers.